Sunnybrook Welding has sold hundreds of sweep sets in North America. Gerald Foster says his sweeps go only on the external surface of the rotor, and although they’re only two inches high and do not add air to the separation process, they do work. Putting small sections of auger flight on the rotor is like a cross section of an airplane propeller. The front side is the high air pressure side, or the push side. The trailing side is the low air pressure side, or the vacuum or pull side. Foster said he wants the sweep’s high pressure side to push seeds out toward the separating grate. Using forced air on the pressure side of a sweep’s face bends air toward the cage, while the vacuum side of the sweep keeps the grates clean. “The sweeps reduce power and fuel consumption. If you’re using less power and less fuel, the automatic assumption is you can’t put as much seed in the tank, but that’s not what happens,” he said. “We know the sweeps work because guys who’ve been running them don’t experience any rotor loss in relation to their power saving. In fact, some guys reduce power by one-third and still have less rotor loss. I think the combination of the push and the pull on either side of that sweep blade seems to keep the cage clear. 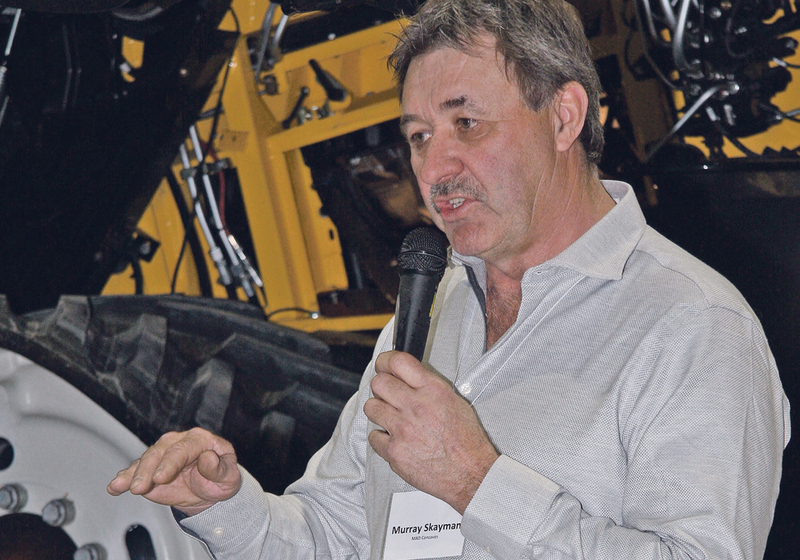 Foster said a Louisiana farmer who owns Gleaner R76 sequential number combines added a dozen foot-long sweeps to one of his combines two years ago. Both machines were performing similarly before the modification, but after the modification, running side-by-side, the engine load on the modified combine dropped from 87 to 88 percent to 67 to 68 percent, while rotor loss was reduced dramatically. “The reason is simple,” he said.